1 FL OZ (30ml) of our organic MCT oil contains 250mg of CBD. Serving Size: In 1 FL OZ bottle, there is approximately 80 servings = 8mg of CBD per serving. Each Serving is approximately one half dropper. Directions: Shake well before each use. Use once or twice daily as needed. Place under the tongue and hold for 15 seconds and then swallow. Store in a cool, dark place. Every time I place an order from AlpenOrganics I’m blown away by how amazing both their customer service and products are! On my last order I forgot to use a coupon code I received so I quickly sent an email and within 8 minutes I had been refunded the amount my coupon would have saved me and my order had shipped! 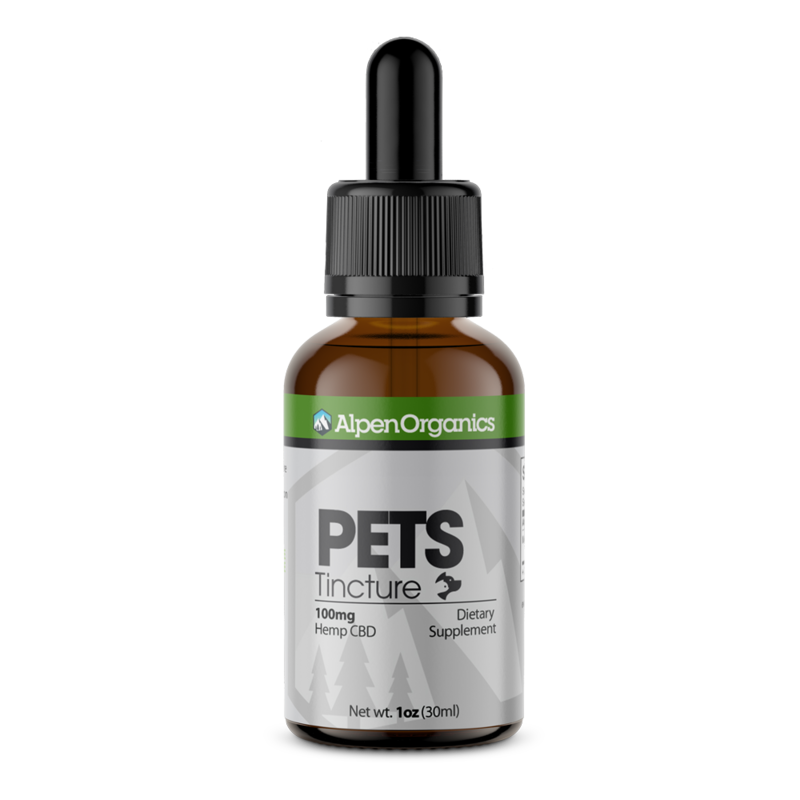 I order their pet tincture for my dog who has seizures and it helps him tremendously. He used to have a seizure about once a day and now he’ll go days without having one. I’d recommend this product to any and everyone! I give this to my 7 year old american bulldog to help ease her hip pain and anxiety. I have a puppy that has tons of energy. So in the middle of the night she would decide to jump on my face and start playing with her toys on the bed. Needless to say, this would disrupt my sleep so I had to buy this product. I would give it to her before bed and she slept through the night, I really recommend this. 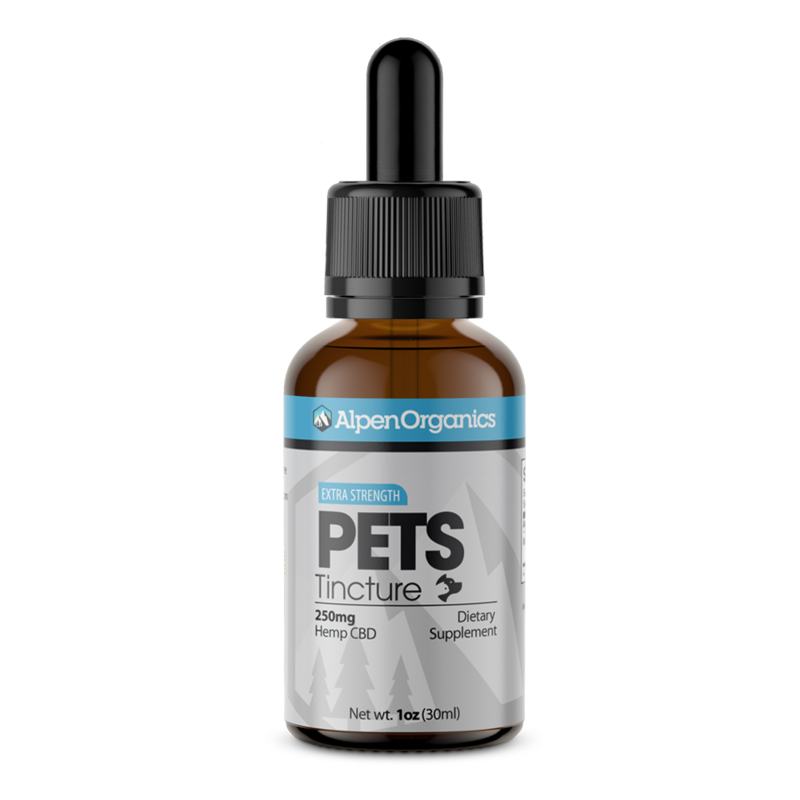 The Pets tincture is wonderful at helping both of my cats overcome anxiousness. We had to move temporarily and after giving the drops to my skittish cat, he became calmer and came out of hiding place in home. I have a 13 year old cha-weenie with heart failure. One if the symptoms of heart failure is constant coughing. Her lungs fil with water and she often gets pneumonia that needs to be treated with antibiotics. The vet has put her on numerous meds which eventually started affecting her kidney function. She was on a total of 9 diffident medications. The vet advised we can make the progression more comfortable, but we need to consider putting her down. That was 2 years ago before I found this product. I'm so thankful to say that In the last 2 years she has down graded to 2 medications and this product. This is the only thing that will get her coughing to stop so she can be her old self. Shes happy and my baby girl is back. The heart failure is continuing to progress but shes comfortable and its manageable. I recommend this product to everyone. This product has helped my two babies so much. One has anxiety during storms/wind/loud noises and the other baby has anxiety if any changes occur. This has helped them on another level and I’m so grateful that products like this exist for them. I was reluctant to try cbd again for my dog because the first bottle we tried (a different brand that we got from the pet boutique) consistently showed no results. Totally different with Alpen. Just shows that you really have to trust the brand you are buying from. Now when a thunderstorm is approaching my dog literally walks over to where I keep her cbd and shoves her nose in it telling me she needs it! She’s very intuitive and knows how much it helps her. Then she sits there and lets me drop it right into her mouth because she loves the taste too (only thing she will let me drop right into her mouth and not put up a fight over). It’s honestly crazy to me to see how much it helps her and that she realizes it too! We love love love this cbd!!! My daughter gave me this for my dog that was recently diagnosed with colon cancer. I wasn’t sure how much longer she had but she was very sad and down. So I started giving her cbd oil and the following day she was more alert and happy. I know this helped her ease her pain. I really appreciate it! Every dog needs this. I always think about my dog's well being and give this to him everyday. The best part is, he LOVES it!